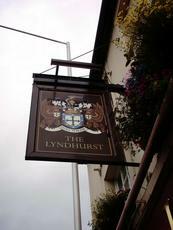 Read an on-line article, showing a pub crawl from the Abbot Cook to the Turks - so over many weeks, I steadily ticked off all the pubs mentioned. Two attempts at this one. First time, not a soul in there - so decided to save for another day. Second time - walking in at 7:30. About 4-5 people all queuing and a very harassed looking single barman. All the real ales, bar one - where turned around. Decided it was not worth the wait and gave it up as a bad job. They've re-opened but there is still a distinct aroma of body odour in the air; probably the Polish locals who flood the place. Re-opened on 1 October, looking much like it did before the closure if a bit cleaner and tidier. 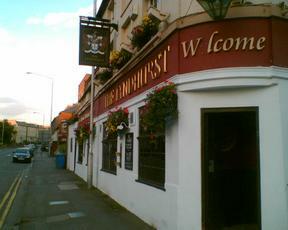 Initial beers were Doom Bar and two from West Berkshire; food menu to be offered later apparently. 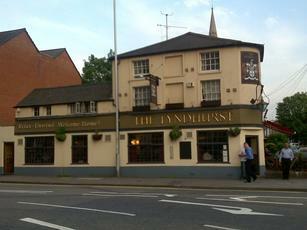 Unfortunately the closure was only temporary and another unfortunate landlord will shortly be entering the fray. You cannot (re)polish a turd sir. 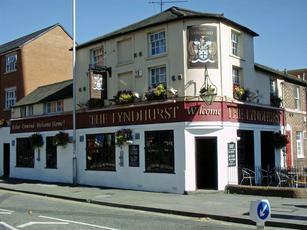 I've never really liked the Lyndhurst. It has its selling points, not least the excellent pub quiz on Sunday nights, but the beer choice tends to be pretty uninspired and the food has gone downhill over the years.